A local man is upset after he accidentally destroyed his own phone using a parody app that he thought was real. 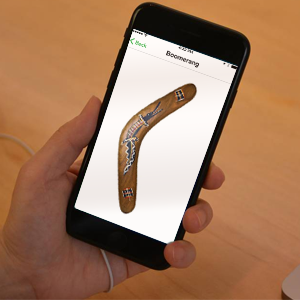 The Boomerang App advertises that it can turn your phone into an actual boomerang. So, you can throw it like the popular Australian hunting weapon, and it will loop around right back to your hand. "The app is obviously a joke", says the developer of the app. "Who would be stupid enough to think that would actually work?" Simulation apps are very popular on mobile devices. From fake mugs of beer to lottery games, there is no shortage of fun simulations. Rarely are those apps expected to be real. They don't contain real beer, or lottery winnings. "I expect them to pay for a new phone", complained Mr. Snuffnputty. 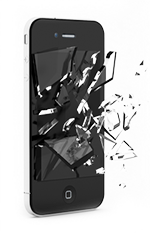 Most carriers will not replace a phone, even if insured, if it was destroyed by the owner's purposeful action. The developer is also responsible for similar apps such as Frisbee, Yo-Yo, Volleyball, and Hand Grenade. All of which supposedly work on the premise of forcing your phone to behave like real life equivalents of those objects.